And without data, there’s no way to make critical updates to your overall marketing strategy. …especially when it comes to social media strategy. It’s tougher than ever for marketers to stand out! Let alone know if those messages are reaching the right audience!? Which is why we’re excited to announce CoSchedule’s newest addition to analytics – Social Profile Reports! Access top social profile reports from one dashboard. Stop downloading reports from individual platforms (or multiple third-party tools). Quickly view important social KPIs for Facebook, Twitter, Instagram, LinkedIn and Pinterest right inside CoSchedule. Understand and take control of the metrics that matter with Social Profile Reports. Stop downloading reports from individual platforms (or multiple third-party tools). Quickly view important social KPIs for Facebook, Twitter, Instagram, LinkedIn and Pinterest right inside CoSchedule. You’ve got instant access to performance data for Facebook, Twitter, Instagram, LinkedIn or Pinterest in just one click. Have multiple Twitter accounts? Or Facebook pages? You can quickly pull account specific data by selecting a profile from the dropdown menu at the top of each profile report. Set your desired date range to track page analytics on a weekly, monthly, quarterly or annual basis. With Social Profile Reports, you now have an active pulse on how your social media channels are performing. Like the productive genius you are. Automate #social #media #analytics like the productive genius you are. With Social Profile Reports, you can track your social marketing efforts so you know what’s working (and what isn’t). And use real-time data to make updates to your strategy, so you can continue to drive results. Because when it comes to social media strategy…. It gets overwhelming to think through all the important details. Are you posting enough on each network? Are you sharing at the right time of the day? Are you posting important messages on the right day of the week? Social Profile Reports can empower you with actionable insight AND equip you with the right stats to make critical decisions. The average # of posts you send per day. Use this info to determine if you have any imbalances in posting frequency and reveal any opportunities to post more often or rearrange your scheduled content to fill in open days and times on your calendar. And uncover the Best Day To Post and Best Time To Post based on your individual social profile reports. When you have important social content to share, you can confidently publish on the ideal day and time to connect with your most engaged followers. Scheduling a bunch of posts for a campaign? Identify trends in high engagement across time of day AND day of the week. And post when your most engaged followers are active online. Fill in the gaps on your calendar and intelligently automate your social strategy with ReQueue. Check out your ReQueue Summary to see how many gaps are in your calendar for your current social network. Add more evergreen content to your ReQueue groups and update your ReQueue settings to automatically post when you have lulls in your calendar. Giving you more opportunities to reach your audience. Get more opportunities to reach your audience. Because reaching people online means nothing if they aren’t interested in what you offer. If you’re selling the latest app for teens, you wouldn’t promote it by hanging flyers at the local nursing home. You *need* to know where your audience “hangs out” AND what content they pay attention to. Track engagement stats and stop guessing at what will (or will not) resonate with your followers. Utilize your social profile reports to identify top content AND start creating posts you know your audience will love. With Social Profile Reports, you can track your top performing post type (based on engagement rate). Giving you visibility into your top content type for each individual network. Want even more insight into your top performing posts? View your Top 6 posts, based on engagement rate. So, you can see which posts are really making a splash with your audience. In this section of the report, you’ll get a snapshot of each top post and individual engagement metrics for each network. On Facebook, you can view the number of likes, comments, shares and impressions on your top posts. Twitter includes likes and retweets. Instagram features likes and replies per post. LinkedIn features likes and comments per post. And Pinterest gives you data on the number of repins and comments each top pin has. Review your top posts on each profile, so you can create more posts around these topics, content types, formats and themes. Making it easier to create the content your audience wants to see from your company. It’s a time-consuming, clunky process. Then you spend time analyzing all of the data. Schedule recurring Social Profile Reports to streamline your entire social reporting process. Select how often you’d like to receive your social profile report. Add your recipients + your team (and even higher ups) will receive performance reports in their inbox. 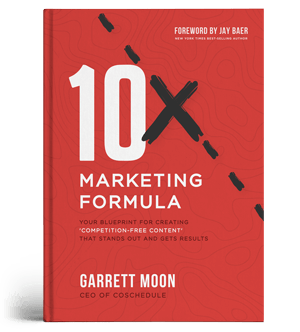 Which keeps everyone in the loop, and your marketing team accountable. 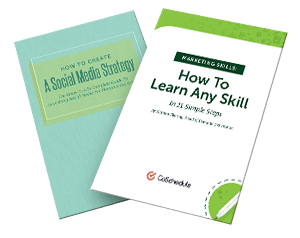 Ready to take control of your social marketing strategy? With [NEW] Social Profile Reports from CoSchedule, your team has the tools (and the data) to track and review your social strategy on a regular basis. So you can evolve and improve your messaging. And drive real results from Facebook, Twitter, Pinterest, LinkedIn and Instagram. Whitney is a Product Marketing Specialist at CoSchedule. In a previous role, she lived the agency life as a project manager. So when you say you’re busy with client projects, tasks and deadlines - she can totally relate. Outside of work, she loves to travel with her husband, coach figure skating and listen to podcasts.